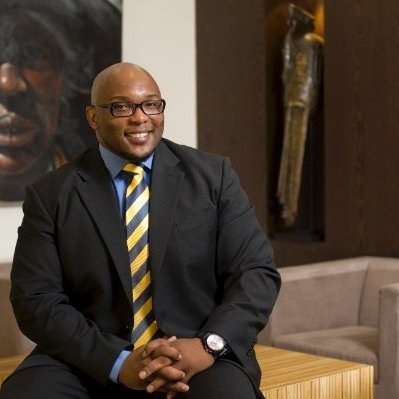 President Cyril Ramaphosa's son Andile has admitted that corruption-accused company Bosasa paid him R2m in a business deal he "sincerely regrets". In an exclusive interview on Monday, Ramaphosa Jr confirmed details of a News24 investigation spanning several months, which lifted the lid on the secretive agreement. In December 2017, his company Blue Crane Capital signed an "advisory mandate" with Bosasa, resulting in it being receiving a monthly retainer fee of R150 000, which was later increased to R230 000. "It was a severe oversight on our part," he said of the glaring red flags he claimed to have missed before putting pen to paper. "It is clear now with the benefit of hindsight that our due diligence was insufficient in retrospect of my father's role going into the Presidency," Ramaphosa Jr said in a written response to follow-up questions. Both Ramaphosa Jr and his father previously refused to divulge details or the value of the agreement despite Promotion of Access to Information Act requests and questions in the National Assembly. News24 was able to independently obtain the values and put this to Ramaphosa Jr, who confirmed the exact amounts. Ramaphosa Jr's company provided "advisory" work on a series of more than 20 government and private contracts in Uganda and Kenya, potentially worth "billions" of rands by his own admission. He later backtracked on this admission, saying the projects had never been properly valued. - October 2017 - Bosasa CEO Gavin Watson donates R500 000 to President Cyril Ramaphosa's ANC presidential campaign, in a transaction that was designed to be hidden from scrutiny. Chinese security tech giant Dahua Technology, the world's second-largest security and surveillance equipment manufacturer, played a crucial role. Dahua representatives in South Africa introduced Ramaphosa Jr to Bosasa, News24 found, and they planned to use Dahua tech for the projects. The physical work was to be carried out by Bosasa. Bosasa made headlines since 2006 for alleged corruption involving tenders the Department of Correctional Services (DCS) awarded to the company in 2004 and 2005. In 2009, the Special Investigating Unit (SIU) concluded a two-year investigation into Bosasa, finding evidence of bribes paid to DCS officials in exchange for the tenders. More allegations of corruption emerged in testimony before the Zondo commission of inquiry into state capture from former Bosasa chief operations officer Angelo Agrizzi, who spent a marathon nine days in the witness stand in January. Agrizzi revealed evidence of fraud, corruption, tax evasion and widespread bribery of government officials and political leaders in exchange for lucrative government contracts. Data from National Treasury shows Bosasa and its subsidiaries were paid at least R12bn in the past 15 years. "We did not evaluate AGO (Bosasa) beyond their technical and operational capabilities, which admittedly were quite impressive. We were not entirely blind to some of the media coverage on the company, however, none of the allegations had also been tested in court," Ramaphosa said. "Notwithstanding the SIU report that you referenced during the interview, no one either in government or within Bosasa/AGO had been formally charged for prosecution. Banks continued to bank them until recent testimony at the Zondo commission. In our enthusiasm and haste to press ahead with putting together a team to deliver on our offering and the pipeline of projects we were building, we overlooked the reputational risk posed by AGO and its past business practices, something we sincerely regret. This is a massive let down for me personally and for my company," he said. In February, ABSA and FNB informed Bosasa and some of its executives that it would be closing down accounts held at the banks, as a result of reputational risk stemming from Agrizzi's testimony. The company was put into voluntary liquidation thereafter - a move that was challenged and overturned in the Gauteng High Court in Johannesburg. Spokesperson for Bosasa, Papa Leshabane, referred queries to the appointed liquidator, Cloete Murray, who did not respond to calls and texts seeking his comment on the matter.